ECM vendor Day Software AG now enables you to catch a glimpse of their developer’s expertise. Some of their best programmers started blogging and provide valuable insights into content management technologies and best practices. Most notable, David NÃ¼scheler, the driving force behind the JSR 170 content repository standard, debuts as a blogger. That was about time, because David is surely one of the most brilliant minds in content management and destined to be a thought leader in that area. Although Day’s developers blog is only 4 weeks old, there’s already a bunch of interesting content. 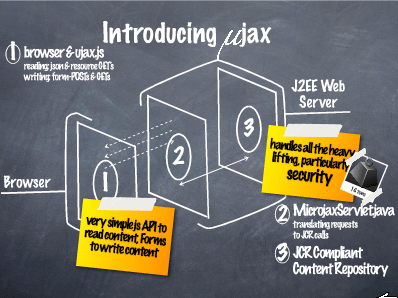 For example, slides and tutorials about microjax, a technology that allows you to access a content repository in AJAX-style right from a Web browser. There’s also an interesting post about a tool for visualizing Day’s ECM product CommuniquÃ© and a lot more at dev.day.com.